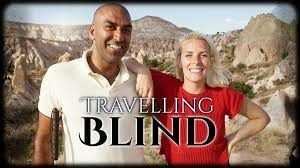 We recently watched ‘Travelling Blind’ on BBC iplayer and enjoyed it. Lots of poignant moments as Amar Latif travelled through Turkey with the comedian, Sarah Pascoe – Amar lost his sight 20 years ago, aged 18. As positive a person as he was, he was honest about the fact that he has to keep positive and busy so as not to sink emotionally. There were particularly moving moments as he shared how his memories of what his mum, for example, looked like have faded over the years. He fears the loss of more ‘sight memory’ over the years. Here is John Piper in a post called ‘My Young Life Has Been Physically Ruined – Now What?’. He’s responding to someone writing in about his brother Shaun who lost his sight through cancer. One of the keys to finding strength to live with disability here — even the extraordinary disability of blindness — is to experience the grace of God in the unshakable confidence that this life, as precious as it is, is only prelude to the life which is life indeed. This life, in fact, in reality, not pretending, not romanticizing, not dreaming, but being utterly realistic, this life is very, very short. Paul says in 2 Corinthians 4:17: These afflictions are light and momentary. And by “momentary,” he meant a lifetime. Peter says: We may suffer various trials for a little while (1 Peter 1:6). And by “little while,” he meant a lifetime. James says: This life is like a vapor’s breath on a winter’s morning: two seconds, max (James 4:14). And that “vapor’s breath” is a lifetime. And, of course, it is a miracle, a wonderful, God-given miracle to believe that and to live in the joyful confidence that, in a vapor’s breath, I will see again. In a vapor’s breath, I will walk again. And I pray for that miracle for Shaun’s brother. It is a precious thing, I know. It is a precious thing to be able to see the beauties of the world and the people of this world with the eyes that are in our head. But it is — and I pray that there will be grace for Shaun’s brother to believe this — it is an infinitely more precious thing to see with the eyes of the heart as Paul calls them in Ephesians 1:18. The greatest tragedy in the world is that people with good eyes cannot see. I would encourage Shaun’s brother to think about this. Millions of people use their good eyes and look at the natural world and do not see the glory of God. Thousands of people used their good eyes and looked at the very Son of God in the flesh and did not see the glory of the only begotten from the Father. Millions of people hear the gospel with their good ears and read the precious pages of the Bible with their good eyes and do not see the light of the gospel of the glory of Christ. This is the greatest tragedy in the world. But Shaun’s brother has the opportunity now to see and to see and to see: to see the glory of God in everything he touches and tastes and smells and hears; to see the glory of Christ in every story from the Bible and every promise of grace; and to see the utter folly of the world in using their good eyes to commit idolatry, instead of loving the unseen God supremely. Jesus lamented the blindness in Jerusalem. He said, “seeing they do not see” (Matthew 13:13). And I pray that Jesus would say just the opposite over Shaun’s brother. Blessed are your eyes, because not seeing, you see (Matthew 13:16). So I am personally reminded in my paralysis that it’s more important to be able to walk with the Lord than to be able to walk physically; it will matter more in eternity that God enabled me to run the Christian race in this life (1 Corinthians 9:24) than that I was unable to run over a hill top or across a football pitch.